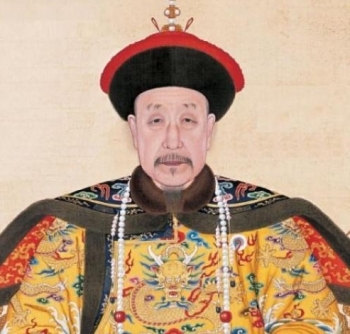 An old Chinese proverb says that the reign of every emperor starts when he dons his new robes. The imperial robes of the last Qing Dynasty (1644-1911) lend legitimacy to this proverb. Clothing was seen as a status symbol for many dynasties, and was the mark of an individual’s position in society. For example, the fur of a black fox and the color yellow were reserved for high level officials and members of the imperial family. The general public was not allowed to wear or even possess such clothes, although they were allowed to sell them. Anyone found to violate this rule was subject to harsh punishment, even the death penalty. The Qing Dynasty was born when the Manchu–horsemen from the Northeast–conquered the Chinese Empire’s Ming Dynasty in 1644. However, in terms of culture, tradition, customs and science, the Manchu had much to learn from the highly developed Chinese. They accepted not only the advanced system of state officials, but also the Chinese ideograms, their rituals, customs, and even ideology and religion. After their conquest, therefore, while the Manchu admired Chinese culture, they also retained pride in their own roots. Before they settled down, traveling clothes were the most important possession of the Manchu. They consisted mostly of animal skins, cut into the shape of the dead animal to maximize the use of the raw material. The imperial wardrobe owes its horseshoe-shaped sleeves and the separate, heavy collars to Manchu traditions. Since the Manchu used to make a living by hunting in the Northeastern climes, they had to be protected from the cold. They wore long, curved sleeves which could be placed over the hands, and the heavy, separate collar was also meant to protect hunters from the cold during long rides. In the end, however, the sleeves turned out to be a hindrance in everyday life at the imperial court. Court officials kept them rolled up most of the time, and only rolled them down when they had to greet someone new. This habit, started by the emperor and his officials, was eventually taken up by everyone. Thus, it became a ritual of the Chinese people to roll their sleeves up and down when greeting a stranger. Before any gown was allowed to touch the body of a Chinese emperor of the Qing Dynasty, it required two and a half years of labor at the hands of the court tailors. There was a special tailor’s shop in the palace solely for making clothes. The patterns and cuts were developed there and had to be approved by the emperor and the highest imperial officials. Then, the patterns were passed along to the silk manufacturers. When the fabric was ready, it was cut by another artisan and passed onto a third to sew it together and finally, to embroider it. Only the finest threads were used for the embroideries—even those made from real gold. The emperor employed 500 artisans for the stitching and another 40 for the gold embroideries. The imperial wardrobe during the Qing Dynasty included gowns and robes of all kinds. There were robes for celebrations, special robes for ceremonial occasions, travel clothes, and clothes for bad weather, snow and rain, as well as clothes for everyday use in the private apartments and outdoor areas. According to the demands of weather, they were either lined or unlined, made from silk, leather or cotton. The colors were chosen to perfect the imperial wardrobe. One of the colors reserved for the emperor was bright yellow, red, blue and light blue. Yellow was reserved mostly as a color for celebrations. The other three colors were worn during ceremonial days of sacrifice in the three major temples: the Emperor wore blue at the Temple of Heaven, red at the Temple of the Sun, and light blue at the Temple of the Moon. 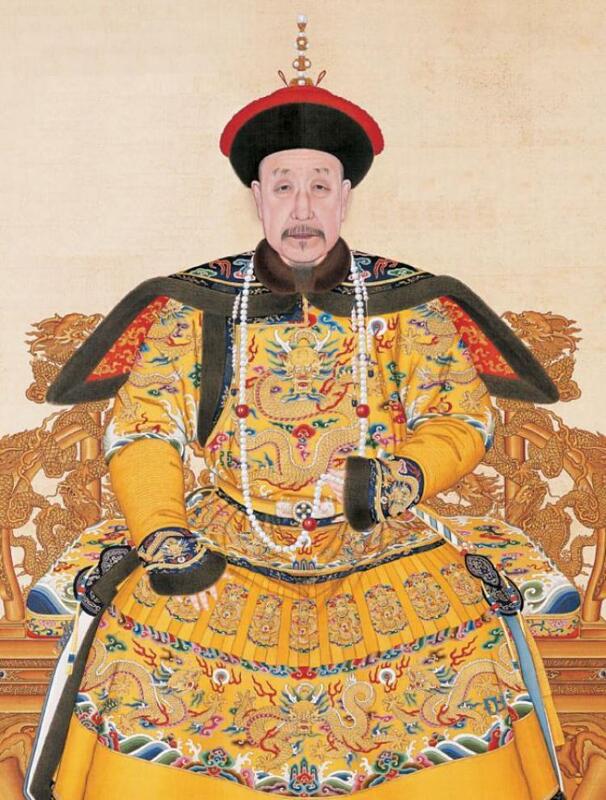 With every robe, the emperor also wore a matching belt and hat. The commonly known Dragon Robes are embroidered with golden dragons. They were gowns for special celebrations, and the emperor wore them only on auspicious feast days. The color yellow was worn on festive occasions, whereas the other 3 colors were worn on days of sacrifice. A simple ceremonial robe was worn on all other festive occasions such as weddings, days of sacrifice, and the New Year. The Emperor’s gowns were loaded with artful ornaments and hidden symbolism for good luck, and a dragon’s image dominated each imperial costume. As an important element of Confucianism, it symbolized the emperor’s power. A Dragon Robe contained nine dragons, one of them on each shoulder, another on the back, and one covering the breast of the top and bottom garments each; the last four dragons decorated the bottom of the imperial robes. The dragon robe was not simply meant to be an ornament for the Emperor, it was also supposed to bring good luck to the people. Apart from the dragons, eleven other symbols for good luck were featured: 日 (rì) – sun, 月 (yuè) – moon and 星辰 (xīngchén) – stars, as the symbol for three brilliant sources of light; 群山(qúnshān) – the mountain, symbolizing protection of the emperor’s regency from all four directions; 華虫(huàchóng) – the insect, standing for the emperor’s wisdom; 宗彝 (zōngyí) – the cup of wine, standing for honesty, loyalty and piety; 藻 (zăo) – aquatic grasses, standing for purity; 火 (huŏ) – fire, standing for his honesty; 粉米 (fĕnmĭ) – rice symbolized wealth; 黼 (fŭ) – a special embroidery rendered in black and white was a symbol for the emperor’s decisiveness and boldness and 黻 (fú) – another embroidery rendered in black and green was another symbol for honesty. Another symbol on the emperor’s robes was a red bat which is a homophone of the character meaning “a veritable deluge of good luck”. Undergarments featured the oceans and mountain ranges of the world, because in Chinese tradition the emperor was regarded as the “son of heaven” who rules the whole world.